When most people think of dehydration, they think of people who have heat stroke, or children who are very sick with fevers or vomiting. The truth is, you only need to have an inadequate consumption of water to be considered dehydrated. 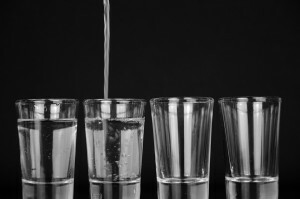 Skipping two or three glasses of your regular 8 glasses a day minimum is enough to make you dehydrated. Every single cell, every single organ, every single function in your body needs water to work. This is why you can go 3 weeks (or more) without food, but only about 3 days without water. Your body will suffer when you are dehydrated, even though you may not feel or see the effects. Your brain, perhaps more than anything else, needs to be sufficiently hydrated. At any given time, the brain will contain more than 20 percent of the blood supply in the body. Brain cells are also about 85 percent water. The electric current that runs the brain operates on, you guessed it, good old H2O. If you want your brain to work at its best (not to mention making you feel your best) be certain you stay fully hydrated and drink water all day long. Your skin is made up of approximately 75 percent water. When it becomes dehydrated, it can develop problems such as dermatitis and eczema. Your skin will also greatly slow down the regeneration of new skin cells and collagen. This can result in premature aging of the skin. Although these problems are mainly cosmetic, they do alter a person’s quality and enjoyment of life. Who wants to go through life with itchy, dry skin? As you know, your kidneys are the body’s main source of water removal. When there is a water shortage in the body, the kidneys go through a process called rennin angiotensin. This process tightens the vascular system and tells the kidneys to save water by slowing the process of urination. Over time, this process leads to kidney stones and even kidney damage. The color of your urine is a pretty good indicator of hydration. Light yellow or colorless urine means you are drinking plenty of water. Although no one knows the exact cause or reason behind rheumatoid arthritis, one thing is certain; studies show that mild dehydration can cause joint pain and that those who suffer from RA are often dehydrated. While it is not fully known whether drinking enough water could prevent or less arthritis or RA symptoms, there does appear to be some type of connection. You don’t have to be digging ditches in the hot sun to suffer from injuries due to heat. Think about your car; without sufficient water, a car can overheat even on a snowy day. Heat injuries range from cramps to headaches, heat exhaustion heat stroke. Be certain that, no matter the weather outside, no matter what you are doing, you stay hydrated to avoid damaging your body by overheating it due to lack of fluids. One of the most common types of infection is a urinary tract or bladder infection. In fact, about 50 percent of adult women will get this type of infection at least once in her lifetime. When you become dehydrated, the body does not have sufficient water to flush out the bacteria that naturally congregate inside the urinary tract. When you are fully hydrated, your body will naturally remove these bacteria. Doctors say that a full 30 percent of all bladder infections are caused by a simple lack of water. Stomach or digestion problems range from simple heartburn or indigestion to GERD (gastroesophageal reflux disorder). The stomach also needs sufficient water to produce enough stomach acid and enzymes to digest food properly. The acid and enzymes, called chyme, also need to be diluted before the stomach dumps food into the intestines. If the body does not have enough water to do this, digestion can be delayed and GERD can develop from undiluted acid entering the esophagus. Drinking water before, during, and after each meal will greatly help the stomach perform its natural digestion process. Everyone has to go, but what happens when you can’t? Could this be due to a lack of water? You bet! In order to help the body conserve water, the colon will restrict unnecessary water loss by reabsorbing the water. This results in hard, dry stools. 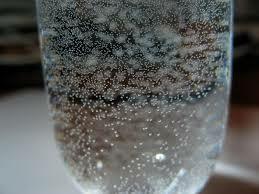 Believe it or not, carbonated water (not necessarily sodas, but seltzer water) shows great results for those who suffer from chronic constipation, although scientists aren’t sure why this works so well. 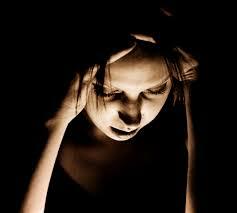 Studies have found that even very mild dehydration (1%) can lead to chronic headaches. You can easily lose 1% of your body’s water reserve with simple daily activities and you are likely to lose as much as 3 to 5 percent after a hard workout through sweat! Many studies have found that staying hydrated can help to avoid headaches, stop headaches, and keep moods more stable. In severe cases, dehydration can result in sudden death. Losing 15 percent or more of the fluid level in the body results in death, beginning with organ failure, coma, and then death. Very hot and very cold weather is hard on the body and causes it to need more water. This is especially true of the elderly. Our sensation of thirst begins to diminish after 50 years of age, so we don’t always recognize that the body needs more water. Low blood volume occurs as the blood thickens due to lack of water, which can lead to a drop in oxygen and heart failure if the heart cannot pump enough of the thickened blood to the body’s organs, including the brain. Although dehydration this severe is not common, it is certainly not unheard of.